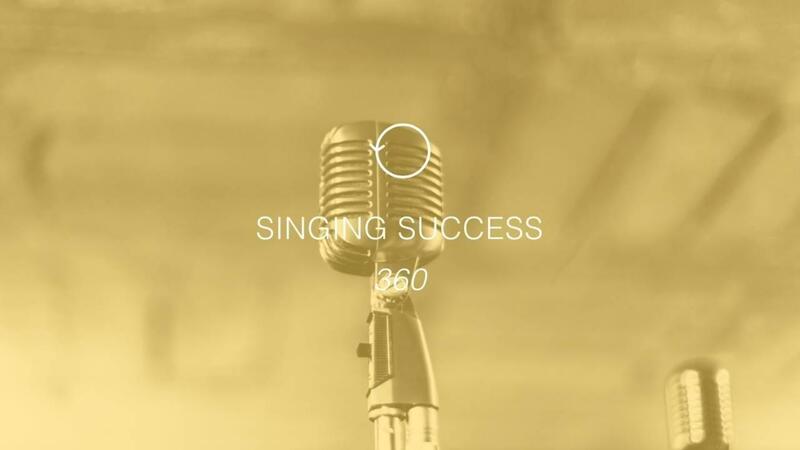 Singing Success 360 is a total, vocal workout plan designed to coordinate every muscle of the voice essential to great singing. SS360 begins with the lowest vocal register, the chest voice, moving through to the head voice, integrating both with the ever elusive and most commercially sounding voice: the mixed voice. Utilizing the “speaking” muscles while simultaneously disengaging the “swallowing” muscles, our seven techniques designed to induce relaxation, range and tonal brilliance will undeniably improve your tactical progress. SS360 produces the highest quality of vocal ease than any methodology in the world. SS360 ends with a focus on style. Beginning with a variety of vocal drills, licks, and runs, the first two lessons drive the singer to apply its vocal principles to musical styles as various as the blues, gospel, R&B, country and pop. SS360 ends applies the same vocal principles to improvisation in a way that frees the voice spontaneously to explore its new range. The singer that makes it this far in the course finds it to be the most liberating part of the entire program. SS360 produces extraordinary success for budding singers as well as for seasoned pros. Its methods are a unique blend of secrets that shave off years of vocal frustration. The result of this ground-breaking method? Singing Success.